Save money when travelling around Philippines with this handy list of Philippines 2018 Grab promo codes. To be updated regularly. While we do our best to keep this page as updated and accurate as possible, offers featured may change at the discretion of merchants. Please verify these Philippines 2018 Grab promo codes with Grab. New users in Pampanga can use the code GCPAMPANGA to get ₱50 off their first 5 rides! Enjoy ₱100 off your first GrabCar and GrabShare rides with the promo code GRABFREE. 3. Get ₱200 off your first ride with Grab! For Android users only, enjoy ₱200 by using the promo code GRABCAR when you book a ride for the first time. Valid in Manila, Bacolod, and Cebu. Get a ₱50 discount when you use the promo code GRABIVOUCHER for your first GrabCar ride. Valid in Manila, Bacolod, and Cebu. 5. Get a student/senior citizen/PWD discount! Upload a clear photo of your IDs to get your personal discount code. Click here for more details. Did you find this article about Philippines 2018 Grab Promo Codes helpful? If you have any more Philippines 2018 Grab Promo Codes that we missed out, please leave it in the comment section below. 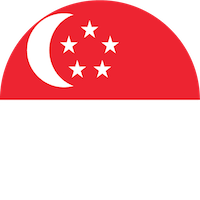 SRS Singapore: What Is The Supplementary Retirement Scheme And How Can It Help You Pay Less Taxes?